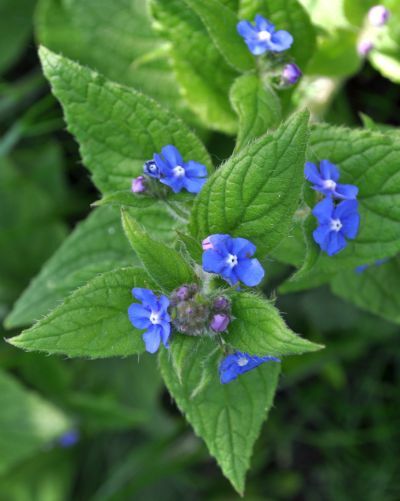 Borage has a beautiful small blue flower which attracts all sorts of insects, especially bees and hover flies. In our garden it self seeds and spreads everywhere but we tolerate it because it is such a beautiful and useful plant. It has a deep root which breaks up the soil and it is a dynamic accumulator drawing potassium (K) and silicon (Si) to the soil’s surface from deeper layers. We compost it or sometimes just cut it down and leave it as a mulch. Some people find that the leaves cause their skin to itch!